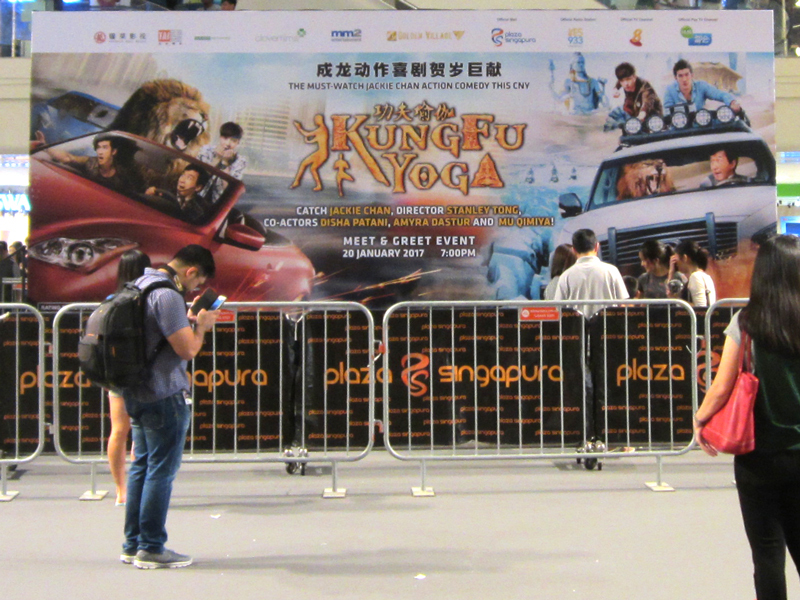 The MC told us that Jackie Chan secretly went for surgery during the filming of Kung Fu Yoga (!). 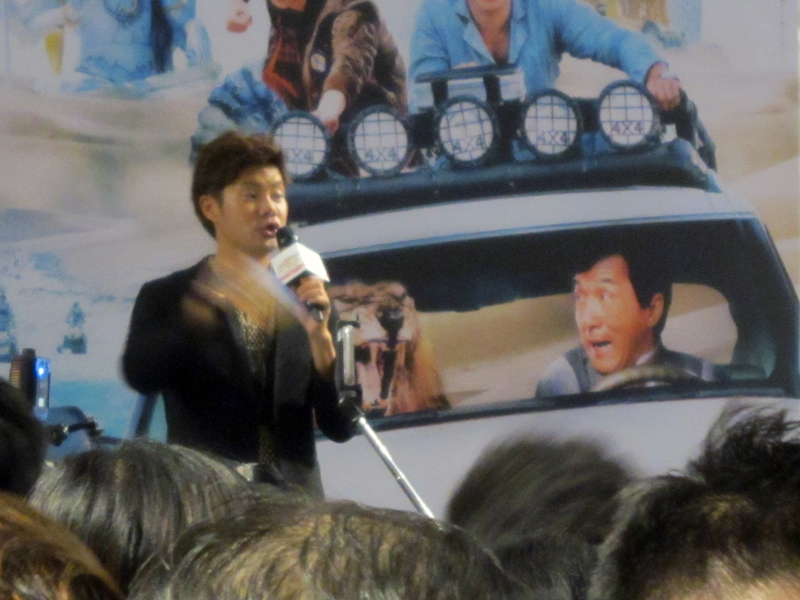 MC gets photobombed by Jackie Chan’s movie poster while keeping the waiting crowd entertained. And now Jackie Chan has arrived! That’s him in the white jacket, can you see? No? Okay, well, take my word for it. 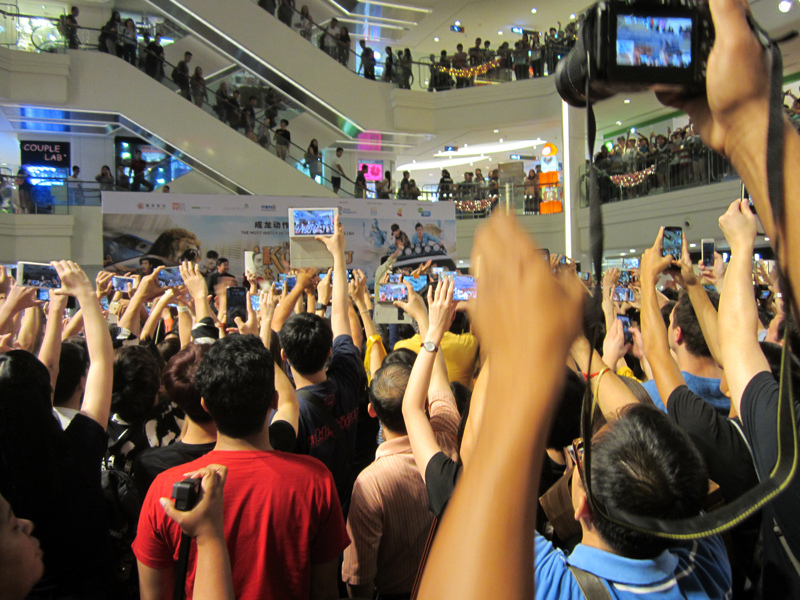 That guy on the right, with the telphoto lens, probably got a great shot. The movie’s actresses are more or less basking in reflected glory. 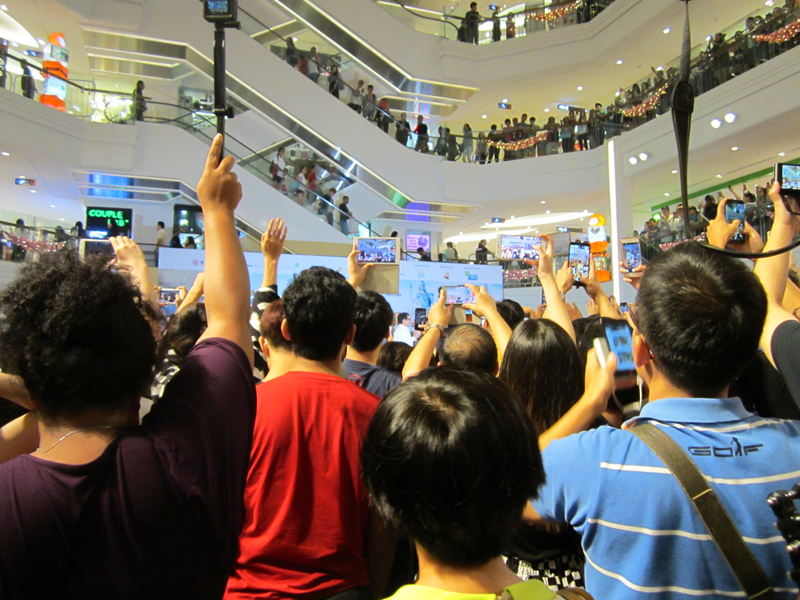 Here we all are, promoting the movie, mostly in Chinese. Come see the movie, you guys! We love you! We love Singapore! Thank you! 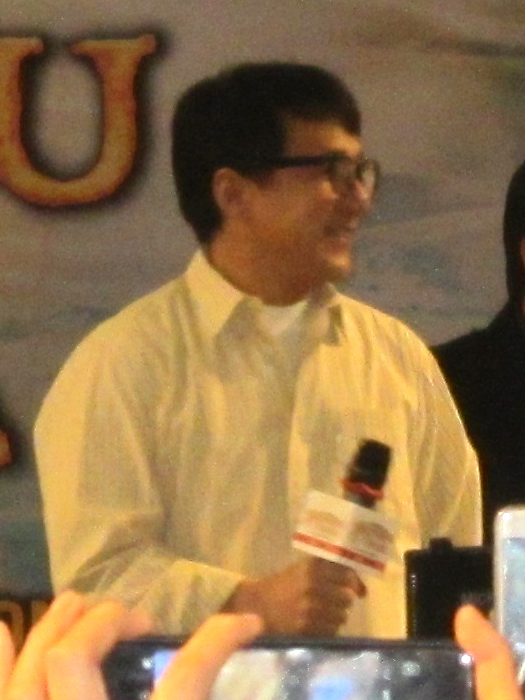 In English, Jackie Chan said something about trying his best even though he is not young anymore. [sniff sniff] Keep up the good work, man! 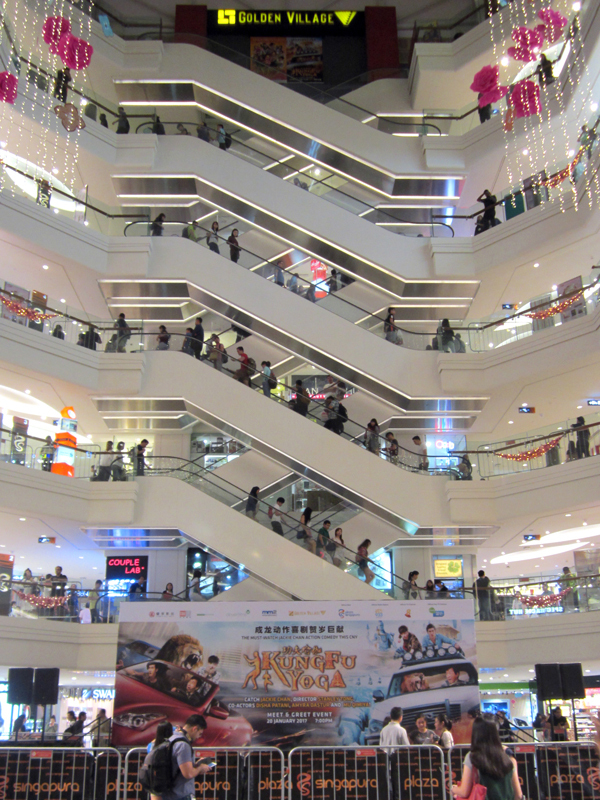 The escalators of the newly renovated Plaza Singapura. No more forest of arms.